The last eight weeks spent at the University of Wisconsin, Madison, have been a test of fortitude. When I signed up for the Baltic Language Institute, where I would study intensive Lithuanian from June to August, I had no idea how grueling the course would be. I also didn’t realize how difficult the language was. Nor did I foresee that my dyslexia would come roaring to the forefront in such a fashion. It seems that, with English, I’ve been able to mask the dyslexia. However, with the new language, which has many monosyllabic words, I began reversing letters and even adding multiple letters that were not part of the original word. My professor had a time trying to figure out what I was trying to say on tests, but she was very encourging and worked very hard to help me. The other two young men taking the class were also very supportive and encouraging. It has been over 50 years since I had taken a foreign language, therefore, the class was quite a challenge. As a teenager, I studied Spanish, which I thought I had pretty much forgotten. As I began to study the new Lithuanian vocabulary words, a strange thing happened. Many of the old Spanish words surfaced, so I guess the new words were shifting things around and trying to find a place to land. Now that the class is over (I received a final grade of B. ), I’m still trying to recover from all the brain stress. While I’m tired, I’m glad that I went through with it and am going to continue studying on my own. Should I return to Lithuania in the future, the language I’ve learned will prove invaluable. I want to thank my family and many friends who prayed for me and supported me w/cards and phone calls. I needed every bit of encouragement I received. I’ve learned, again, how blessed I am. I’ve always believed that in order to keep moving forward in life, we must face challenges, especially as we get older. One of the benefits of this intense memorization, I’m told by a friend who is a doctor, is that I’m helping to ward off Alzheimer’s. That was an extra benefit I hadn’t planned on, but I’ll take all the blessings I can get. All of your messages have been very special, and I will treasure each one of them because they are the first ones to appear on this site. Thank you for taking the time to send good wishes and to stay in touch with me. It has been very gratifiying to see notes from my friends in different parts of the United States and from Israel and Lithuania as well. Special thanks to all the students who let me know their thoughts after reading “Izzy’s Fire.” Your comments are important to me and were inspiring, and your questions were thoughtful. I shall remember them as I go forward with my research. Becky Quesenberrry, the teacher who launched the study in the seventh grade of Elizabeth B. Davis Middle School in Chester, Virginia, also orchestrated three field trips so that all 450 students could visit the Virginia Holocaust Museum after studying the book. After 41 years of teaching, Becky will retire this month. She has honored me by choosing to introduce “Izzy’s Fire” to so many young adults. I want to thank her agian and wish her good luck as she begins this new phase of her life. Most folks consider Friday the 13th as an unlucky day. This Friday the 13th will forever be special to me, as it is launching day for this new blog site. 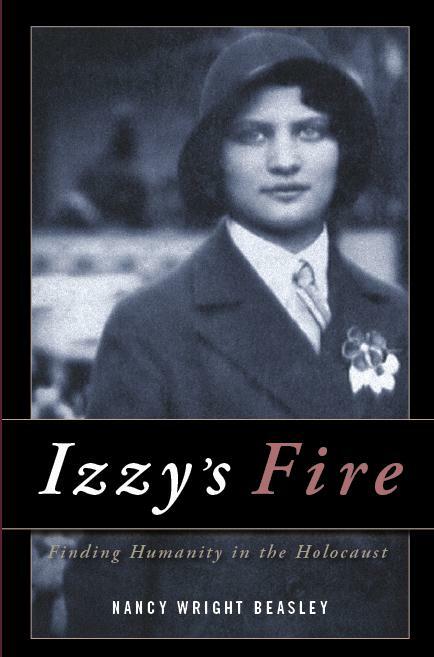 It is an historic day in another way, as the majority of the 450 seventh-grade students at Elizabeth B. Davis Middle School in Chester, Va, will be finishing their studies of Izzy’s Fire, thus becoming the first school to have an entire grade study the book at one time.